The Federal Republic of Germany is planning to help Tanzania to construct the Southern Serengeti bypass Road. President Jakaya Kikwete renewed his support for Serengeti bybass road through the northern portion of the park to link Mto wa Mbu, southeast of Ngorongoro Crater, and Musoma on Lake Victoria In July 2010. The African Network for Animal Welfare had sued the Tanzanian government in December 2010 at the East African Court of Justice in Arusha to prevent the construction of the serengeti bypass in Tanzania. The court ruled in June 2014 that the plan to construct the road was illegitimate because it would break the East African Community Treaty under which member countries must respect protocols on conservation, protection, and management of natural resources. The court, therefore, restrained the government from going ahead with the project. 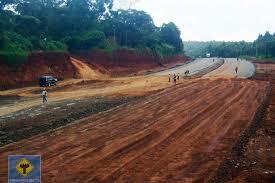 Jowika Kasunga the Monduli District Commissioner said there plans of constructing the road section from Mto wa Mbu-Loliondo at tarmac level are still underway. He confirmed that they delayed to start the project because of lack of funds not because the East African Court of Justice (EACJ) had ordered them against the construction of the road. Mr.Kasunga said that until now the government hasn’t received any stop order from either local or regional court on the construction of the road. Tanzania’s government has already allocated 7 billion Tanzanian shillings for the project to take off. Elias Ngorisa, Ngorongoro District Council Chairman, asked the central government to allocate more financial resources for the project because the allocated amount is not enough. Dennis Rentsch of the Germany-based Frankfurt Zoological Society said that the southern route around the Serengeti can preserve Tanzania’s most tourism benefit and spare the devastation of a priceless World Heritage Site. The project manager of the FZS’s Serengeti Ecosystem Management Rentsch, , said that the hern route would make Serengeti continue to flourish as well as providing more socio-economic benefits for Tanzanian people as it would connect with paved highways to western, central, and eastern regions of the country. Germany will al;so support Tanzania in drumming its renewable energy potential, including geothermal, in order to meet the G7 commitment to increase renewable energy supply in Africa..